The Gilmore girls may not know much about nutrition. But they do know how to pick a takeaway pizza. First order of business when Rory moves into her dorm room is to find the best takeout. Lorelai orders from all the local places to find their go-to for each cuisine. 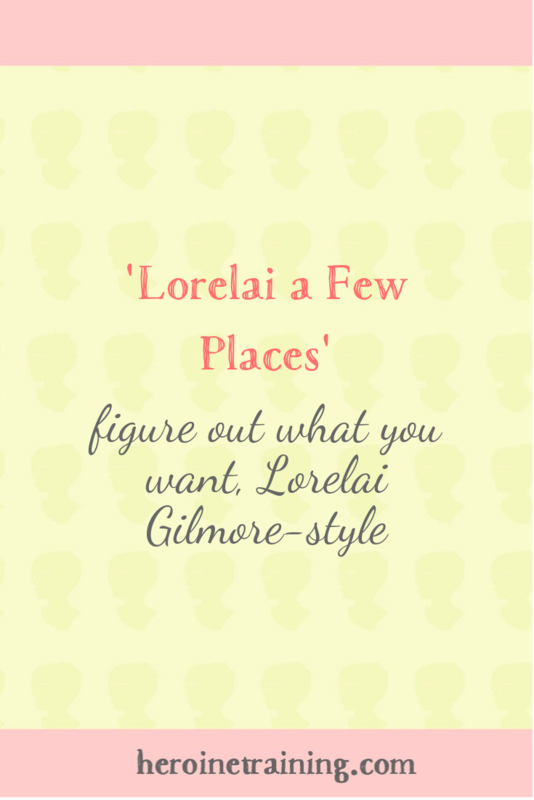 Thus the term is coined: Lorelai a few places. When Steve and I were at uni, the choice for takeaway pizza on Cowley Road was always the same: Mario’s or Il Principe? One day we decided to get one veggie pizza from each, and compare them side by side. We could to walk to each pizzeria to collect them – so why not? (Il Principe won – more flavour, less salt). Where Lorelai leads, I will follow. I’m on a quest to find the best of each type of takeout in our area. Now, I’m pretty sure Lorelai’s method of tracking her findings is by committing them to memory (and keeping a curated drawer of menu leaflets), but I feel like Rory would appreciate my more extensive system. So when I crave a particular cuisine, and am delirious with hunger, all I have to do is consult this visual and organised list. Yay. Lorelai-ing goes beyond takeout, and into the fridge (even if Lorelai herself would not). We recently discovered that the Scotmid shortcrust pastry is far superior to any other supermarket we’ve tried. Now whenever we pie is on the menu, we make a special stop to the Scotmid to get the Best Pastry. When it comes to enjoying cooking, I benefit from every bit of inspiration I can find. Having pre-made pastry confidence is not just tasty – it’s empowering. My daily gift to myself is writing in a cafe each morning with coffee. I budget for this, and the coffee makes the experience better (Again, unlike Lorelai: I never have more than a cup a day). I started asking about the fancy coffee I order. In chatting with the baristas I’ve learned that I like sweet and fruity roasts, and often, the filter coffee. Steve and I have lemon and ginger tea every morning, and we’ve tried a few different brands. Twining’s is our favourite, so we bought a tower of boxes in bulk. Getting to know myself one detail at a time. What you want can be as simple as having a favourite type of takeout pizza. Heroine Training is a lifelong exercise of understanding your preferences. Defining who you are is a big ask. But you can start with a slice of pizza. Lorelai the takeout options in your neighbourhood. Lorelai the different brands of tea and pastry, and other household staples. Do you have favourites? P.S. Want a peek at the actual list? 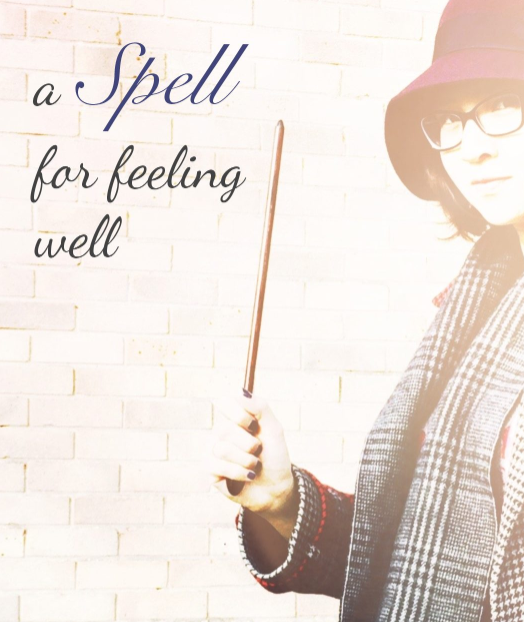 I’m creating a space to post extra secrets like this, and it will be open soon. Sign up to be the first to hear. My In Case of Emergency list includes one tv show: Gilmore girls. For some reason, it’s the show I turn to when I’m at my worst, and watching A Year in the Life helped me understand why. This show embodies the comfort and security of a huge cup of coffee. But my list isn’t just about feeling cosy. Don’t get me wrong, Lorelai, I get that wallowing is essential, but it does have to end, and this show energises me. Maybe it has to do with the fast talking or the relatable aspects of academia and business-starting. After all, in my opinion not enough stories have characters who actually do homework . What I learned from A Year in the Life is that the Gilmore girls are about picking themselves up when life feels like crap. They’re about moving forward, doing something, even if that isn’t the right thing or the perfect thing. Getting up and trying. Chaos will inevitably reign again, so what the hell. Let’s keep doing stuff and engaging with the world and reading books and listening to music and talking about it all, really really quickly. So what did you think of the Gilmore girls revival? P.S. Watch our trailer recap to see how brilliant we were at predicting everything (or not) before this came out.